Darling expands to potential audience of 2 billion readers through First Edition Design Publishing’s world-wide eBook distribution. 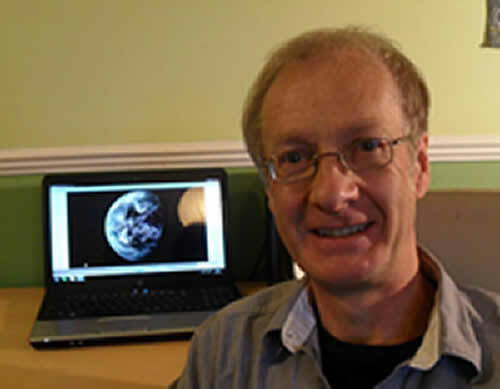 World renowned best-selling British astronomer and science author David J. Darling, Ph.D., has signed with First Edition Design Publishing. Darling was previously published by Hyperion, Delacorte, Harper Collins, Random House and Wiley. David Darling is the author of more than 40 titles including narrative science titles: Megacatastrophes!, We Are Not Alone, Gravity’s Arc, Equations of Eternity, a New York Times Notable Book, and Deep Time. He is also the author of the bestseller–The Universal Book of Mathematics: From Abracadabra to Zeno’s Paradoxes. Darling’s other titles include The Universal Book of Astronomy, and The Complete Book of Spaceflight, as well as more than 30 children’s books. His articles and reviews have appeared in Astronomy, Omni, Penthouse, New Scientist, the New York Times, and the Guardian, among others. Darling’s revised works, with new cover art created by First Edition Design Publishing, will now be published in eBook format by First Edition Design Publishing and distributed world-wide. This entry was posted in Uncategorized and tagged astronomy, author, bestseller, book, british, cray research, david darling, mathematics, science, writer on August 8, 2012 by First Edition Design Publishing.